As part of its long bid for European Union membership, Turkey has announced that 74 pesticides are off limits because they are poisonous. 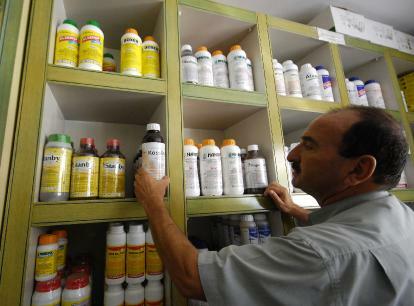 The Hurriyet Daily News reports that the EU has a list of 135 illegal chemicals, and Turkey is working on the others. This is part of several environmental moves afoot in Turkey, from ecological building to a new renewable energy initiative. Turkish agricultural officials say that the first 74 chemicals are relatively unimportant, and not often used in Turkish agriculture. Another six will get the axe next year. However, the remaining 55 will be harder to eliminate because they are some of the most crucial pesticides to local farmers. “Some pesticides are only a health risk when used incorrectly. Some of them are not needed in the EU as the products for which these pesticides are used are not widespread or there are other alternatives. However, Turkey has continued to sell them because it could not develop any alternatives,” he said. This story shows the extent of European influence on agriculture, which extends even to farmers worldwide who seek to export to the Continent; produce has to meet rigorous standards on pesticide residues, worker conditions, and the size and weight of the fruit or vegetable. In that way, Europe can help raise the standard of agriculture worldwide, and that’s a good thing. However, where those standards don’t match the reality on the ground – such as a list of pesticides that doesn’t change according to climate and the type of crops grown, it could generate frustration and apathy. Much of Turkey’s agriculture remains relatively ‘traditional’ (as opposed to chemical-dependent intensive farming). As such, it can be converted to certified organic production relatively easily – the best way to say goodbye to polluting (and unecessary) pesticides – thus safeguarding both the environment and rural livelihoods.